If you’re among the many people suffering from low back pain on a daily basis, it’s important to know that you’re not alone. At F.I.R.S.T Health in Torrance, we’ve helped successfully treat hundreds of Californians with low back pain through specialized chiropractic techniques. 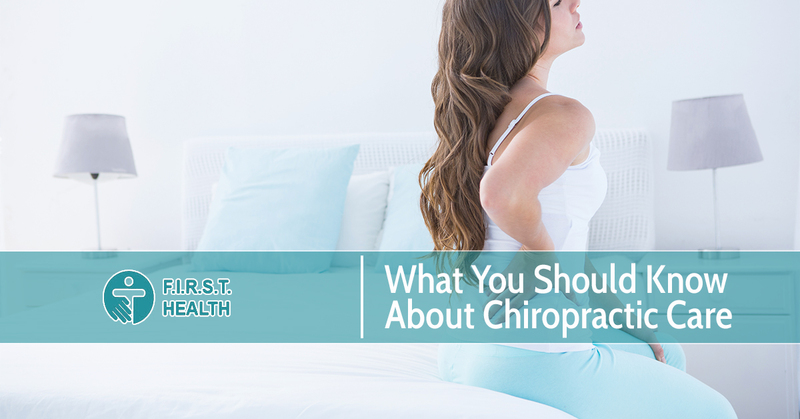 If you’ve never been to a chiropractor and you’re not quite sure what they do, keep reading! Chiropractic care offers a variety of benefits for a number of spinal and musculoskeletal conditions and it could be just what you need to relieve your bodily discomfort. A certified chiropractor will use hands-on spinal manipulation to properly align your body’s musculoskeletal structure, particularly the spine. Manipulation is used to help restore mobility to joints that are restricted by tissue, which can be caused from injury and even stress. One of the primarily goals of chiropractic care is to return the spine to its natural position to help improve posture, range of motion and overall bodily function. Keep in mind all of this is done without the use of conventional medicine or invasive surgeries, enabling the body to heal itself in a natural and organic way. Are you experiencing any discomfort along your spine or back? Describe the pain you feel— is it sharp, dull or throbbing? Have you experienced any injuries in the past? Depending on the chiropractor you visit, you may also be asked to participate in a standard X-ray procedure of your spine and back. This will help your chiropractor rule out pathology (such as a tumor or spine fracture) and will aid them in determining where to adjust your spine. A potentially serious diagnosis, such as a tumor, infection, fracture or other major neurological issues. A nonspecific diagnosis of mechanical back, which is typically caused by abnormal stress and strain on the muscles of the vertebral column. This is a very common diagnosis for those with poor posture. Have you ever picked up something heavy, only to experience aching pain and burning sensations in your back? If so, you likely sprained or strained your back! Sprains can occur when our ligaments, also known as the tough tissue that holds our bones together, become overstretched or torn. Strains, on the other hand, involve the hyperextension of muscles or tendons. Degenerative disc disease is mostly common among older and aging adults. As we age, our intervertebral discs, or the pillow-esque cushions between your vertebrae, can degenerate and break down over time. A very common condition among chiropractic patients, sciatica occurs when the sciatic nerve or a portion of the sciatic nerve is compressed. Many people suffering from sciatica describe the moderate to severe pain as sharp and shooting, particularly felt below the knee in one leg. If you suffer from low back pain, neck pain, or any of the conditions listed above, contact a professional chiropractor today for immediate treatment. If you’re looking for a dependable and experienced chiropractic clinic near Torrance, call the specialists at F.I.R.S.T Health today!